10 South African Female Bloggers to inspire your next adventure! The truth is that we feel connected to people who we can relate to. We are more likely to take advice from someone who has the same struggles we have. And we feel inspired by people who rise above the challenges and still persevere. This is why I decided to write this post showcasing South African travel bloggers. The truth is that I never meet South African travelers when I travel. The percentage of Instagram travel accounts I follow who are people from Africa are probably less that 30% and as for South African travelers… probably less that 10%. And I don’t mean the big accounts who are actually using their British citizenship to travel around Europe or being sponsored by big tourism boards in order to ‘up the diversity’. I am talking about Average Joe people, funding their own trips and suffering through visa applications. I am tired of being under-represented on the web and I am even more tired of hearing South African people say they don’t see anyone like them traveling. So that’s why I decided to showcase 10 South African travel bloggers to inspire you to take your next trip… I also decided to include their favourite South African food because… why not?! **For the purposes of the post, a travel blog is considered as a website chronicling trips and offering information for other travellers I have also only considered blogs that are updated regularly. I don’t consider a blog to be the same as an Instagram account no matter how long your captions are. Blogs aren’t listed in any particular order. Sara Essop offers a beautifully presented blog (at first glance I thought she may have been a travel agent because her website looks so professional!) detailing her experiences traveling around the globe. She has dedicated posts on applying for visas to certain countries coupled with the best time to visit and what you can do if you decided to go there. I love her post about the 7 wonders of the world and also, when she shares the bad experience she has using a travel agent to travel to Morocco! I was so pleased to stumble across a blogger whose byline is “Adventures from a South African Solo Female Traveler”. I know how rare these are so I started perusing her blog. 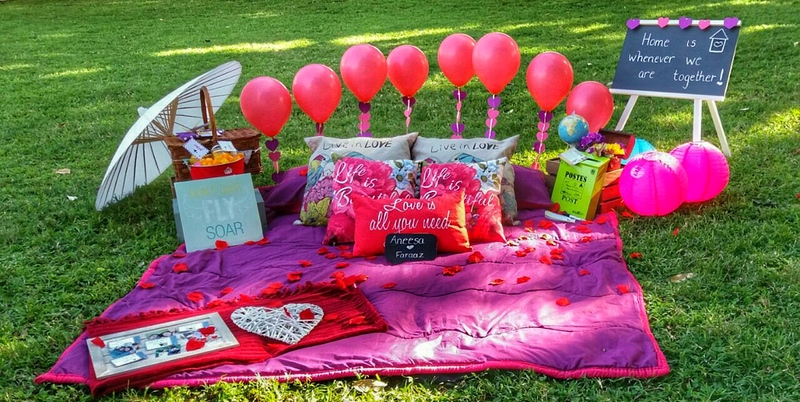 She offers extremely valuable advice such as “Rand Friendly destinations for South Africans” and also give details itineraries of her trips such as “48 hours in Lusaka, Zambia” where she even includes the exact time at which she did things. Wow. Did I mention that she also offers tours for like-minded females?? Just by looking at a picture of this lady, I knew her blog would be interesting and quirky. She spent many years living in London before returning to South Africa with fresh (and appreciative) eyes. I may be a bit biased because she has a special interest in food & spices which are my passions too however I also love her posts outlining her experiences in different countries like hot air ballooning in Cappadocia. I discovered this blog very recently and although it hasn’t been around for very long, I was blown away by how detailed their blog posts were. Senzelwe gave such a thorough cost breakdown of their entire trip in Kenya that it made me want to go back immediately! I think a blog like this can give people a fair idea of what it really costs to travel in Africa by posting prices in South African Rands. She and her sister also have a Youtube Channel which is pretty impressive! I have been slightly obsessed with Dineo for a while now as she travels through central America with her partner. She quit her job to pursue her dream of becoming a full time traveler and her passion for what she does becomes infectious when you look through her blog! It makes me want to quit my job and travel the world… almost! I highly recommend getting in touch with her if you have questions about being a full time traveler or traveling in central America. P.S. Her drone shots are AMAZING! As soon as I connected with Lauren through her blog, I knew I had stumbled onto a gem. Her blog is incredibly comprehensive and not only does she document her travels, experiences and gives advice but she also offers free Lightroom presets as well as a free spreadsheet to help you budget for your trip. I’m slightly in awe of Lauren as you can tell! Her blog is the whole package and is a great one to share with people who are just starting to explore the notion of traveling abroad. Claire is a professional photographer and has some incredible photography skills that will make you want to jump on the next plane out of your city. I love her posts from her adventures within South Africa such as ‘Hiking Lion’s Head” and “Penguin Rehabilitation in Plettenberg”. She also talks about traveling in Indonesia like ’12 Travel Tips for South Africans Heading to Bali’ and ‘3 dreamy snorkelling locations in Bali’. If you need any motivation to travel, locally and abroad this blog will definitely provide it! Noxolo is on a mission to start a movement where more South Africans- especially black South Africans- start traveling. Its called the Mzansi Travel Movement… I love the idea and think its exactly what we need in South Africa! 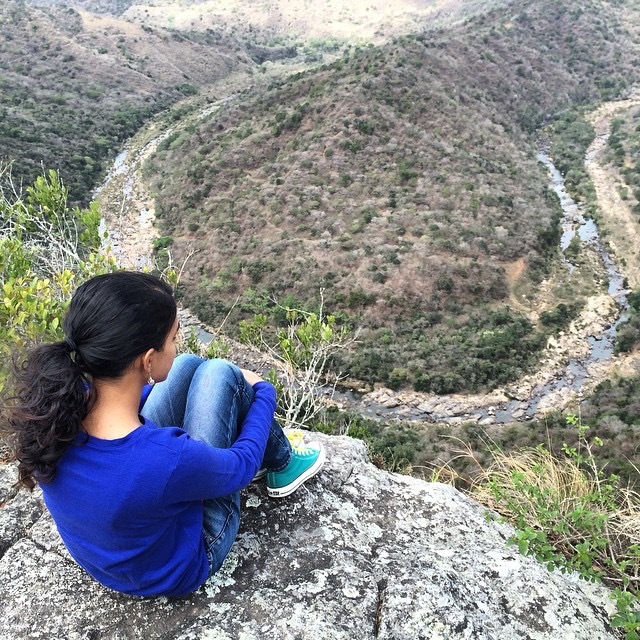 She is focused on exploring Africa and South Africa right now so hers is the blog you need to visit if you want information on hiking, eating and all kinds of adventure. I also enjoyed her post ’48 hours in Durban’ as its always amusing to see how others perceive and enjoy my hometown! 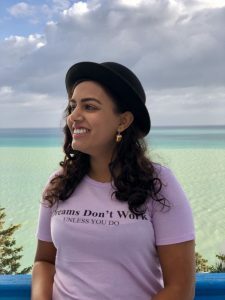 Fari has put together a large amount of travel information not just for travel outside of South Africa (like her post about Mozambique which outlines what to do in Maputo as well as day trips out of Maputo) but also for those living within South Africa. I enjoyed reading about her 7 recommended day day trips out of Johannesburg and her experience at the MTN Bushfire Festival. Her blog is definitely worth checking out! Of course I include myself in this list because I too travel as a South African but I provide a fresh perspective as one who lives in the Middle East. If you’re looking to relocate and work abroad- especially to the Middle East- then I’m the panda you need! P.S. I am also pretty straightforward and talk about slightly uncomfortable things like race, divorce & culture on my blog. Recommend at your own risk! So I hope that if you are looking for some bloggers who are happy to share their exquisite travels and invaluable advice with the world, you’ve found them. It’s only a bonus that these ladies are traveling with non-privileged passport from an African country. We as South African women- especially women of colour- need to change the travel narrative that only certain nationalities or certain race groups can travel. Its time for us to start showing up and showing off… I want to see more South Africans represented when I travel and when I go onto Instagram! Let’s start the movement by supporting our own- read their blogs, follow their social media and ask them the questions you have burning inside you. Know that they have the same struggles as you but they’ve found ways to make the system work for them. A few decades ago in South Africa, owning a passport and traveling out of the country was a privilege only extended to a few because of an oppressive political system. Its time for us to finally celebrate the freedom we now have by making the most of the opportunities we have! Are you responsible about your travel stories? Previous Previous post: Has Instagram replaced blogging? Are they the same thing? 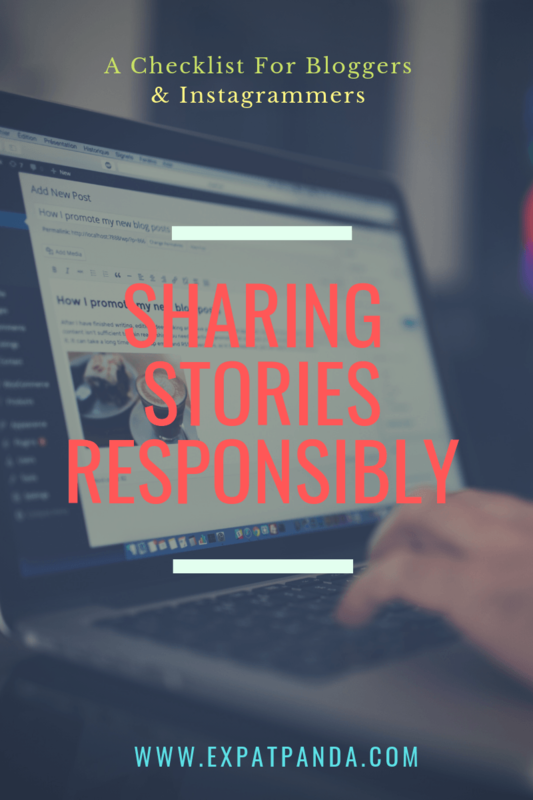 Next Next post: Are you responsible about your travel stories? This was really great, I have perused it all for now, but want to spend more time really reading all the great advice and interesting tales. Thanks for putting all of it together. Travel on! You’re most welcome and I hope I have introduced to some new and awesome blogs! This is so beautiful Aneesa, so honoured to be on this list and of course – featured on your blog! I really hope this inspires South Africans to travel more because I hardly meet people from home during travels. You’re most welcome! I love seeing your travels!! I hope this inspires more people to travel out of South Africa!